A new bail hearing is set for Monday after an earlier request was denied due partly to concerns the French executive was a flight risk. The release would allow Ghosn to meet more frequently with his lawyers. Ousted Nissan Motor Co Chairman Carlos Ghosn has offered to wear an electronic ankle tag and hire guards to monitor him in an unusual bid to secure his release on bail after two months of detention in Japan for alleged financial crimes. Ghosn is also willing to remain in Tokyo, where he has leased an apartment, and post stock he owns in Nissan as collateral, his spokeswoman said. A new bail hearing is set for Monday after an earlier request was denied due partly to concerns the French executive was a flight risk. The release would allow Ghosn to meet more frequently with his lawyers and defend himself before the board of Renault, where he remains chairman and CEO, amid calls for his removal and potential moves to restructure the Nissan tie-up. As his arrest on November 19 continued to cloud the outlook for Nissan's three-way alliance with France's Renault SA and Mitsubishi Motors Corp, Nissan said it was not the time to discuss revising the partners' capital ties. 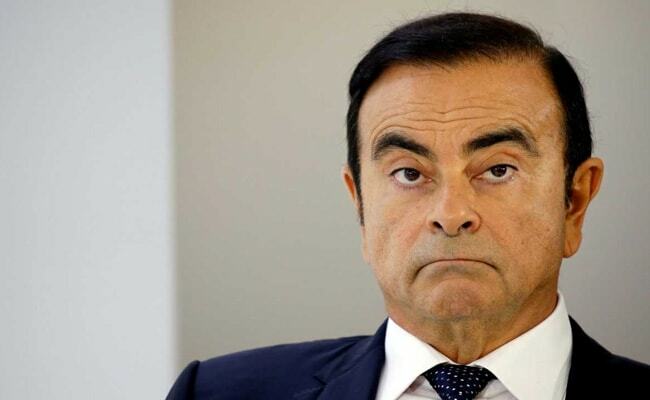 Ghosn, who spearheaded Nissan's turnaround two decades ago, had pushed for a deeper tie-up between Nissan and Renault, including possibly a full merger, despite strong reservations at the Japanese firm. "We are not at the stage for such discussions," Nissan CEO Hirota Saikawa told reporters on Monday. Saikawa also said he had not heard directly about a reported French proposal to integrate the Japanese carmaker's management with Renault, adding that it was not the time to discuss revising the partners' capital ties. The Nikkei newspaper reported on Sunday that a French government delegation had informed Tokyo that it would seek an integration of Renault and Nissan, most likely under the umbrella of a single holding company. "Since I have not heard this directly, I cannot comment," Saikawa told reporters. Japanese public broadcaster NHK quoted French Economy Minister Bruno Le Maire as telling journalists that an integration proposal was "not on the table now". A source familiar with Nissan's thinking said the reported French proposal did not "make sense" given the two companies' different cultures, Renault's lower productivity and Nissan's bigger contribution of key technology.It's a virtual merger, I don't think it makes sense," the source said, adding he had not heard directly of such a French proposal. Ghosn denies any wrongdoing as he awaits trial on charges of financial misconduct. "I will attend my trial not only because I am legally obligated to do so, but because I am eager to finally have the opportunity to defend myself," Ghosn said in a statement on Sunday. "I am not guilty of the charges against me and I look forward to defending my reputation in the courtroom." Renault, which dominates the partnership through its 43.4 percent stake in Nissan, is expected to meet within days to consider potential candidates to replace Ghosn as chief executive officer and chairman.The co-chair of a committee set up by Nissan to examine the root cause of Ghosn's alleged financial misconduct and propose corporate governance reforms said on Sunday he believed Ghosn may have had questionable ethical standards.